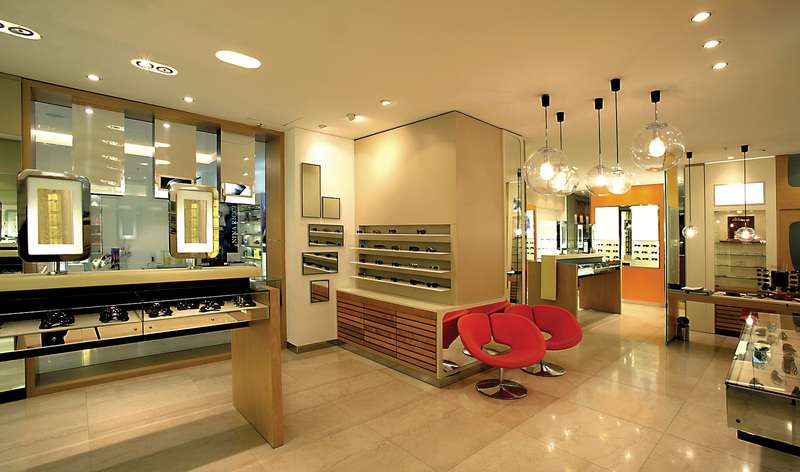 At Cabinetec, the doors come first. A new UV finishing line from Superfici is designed to provide the St. George, Utah, company with a consistent finish for the solid wood cabinet doors, and deliver completely dry doors and frame parts. Cabinetec has grown by serving the booming Las Vegas housing market, some 120 miles southwest of St. George's red bluffs. St. George itself has been ranked as one of the fastest growing metro areas in the United States since 1990. Much of Cabinetec's business has been in new residential construction, so sales went south in 2007 for the company in Utah's Dixie. This year, a larger presence is planned in Phoenix and Salt Lake City. 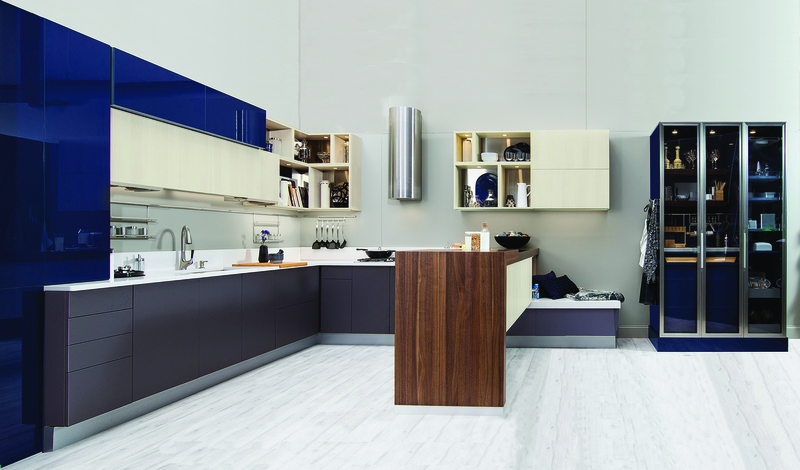 Cabinetec is a semi-custom, just-in-time manufacturer with a full custom department and 10-day lead times. Some 90 percent of doors are solid wood and 10 percent are foil. There are eight door styles, 10 wood species offered and 30 stains. Alder is currently popular, and Cabinetec does a lot of beech, maple and cherry doors. The company employs 310 in a deceptively large 200,000-square-foot location with four buildings in St. George. Cabinetec president Nick Cox says that nearly all of the company's business was with tract homebuilders in 2006, but the company has moved into custom houses, and apartments and condos when the new housing market slowed. Today, about 20 percent of business is in apartment/condos, 10 percent custom houses and 10 percent commercial business. "New construction has been our entire focus for 15 years," he says. "The last few years we've started to get more diversified into custom and commercial, including hotels, theaters, medical offices. Commercial has stayed strong in Las Vegas." The company started out when Donald Cox, Nick's father, operated a home construction company, and was frustrated by the long delivery times for cabinets. He thought he could do a better job, so he started a company called American Cabinet. He serves as Cabinetec chairman, with wife Sally serving as CEO. "He was a builder for the government, ordered cabinets before the houses were started, and then they'd be late. He decided to build his own cabinets and got into it slowly, but turned it into a full-time career," Nick Cox says. All work in the plant is tracked by Cabinet Works, a software program and design tool developed in-house. Nephi Musser, vice president of manufacturing, says that every station, such as the face frame area or door department, has its own check-off screen. "Our designers use it to design the kitchens," he says. "When they press the order, it shows up in the plant on a date with a batcher, right before the ripsaws. It separates species and color. Once it comes upstairs, it's separated by job. The computer tracks those pieces and prints out the labels that we need." 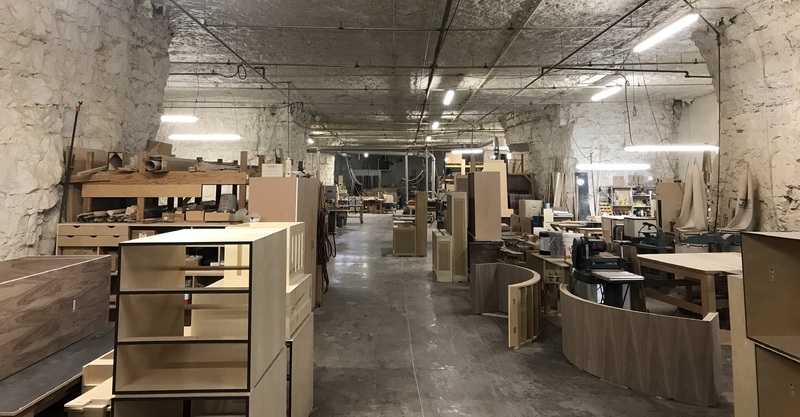 In Cabinetec's mill building, two Raimann ProfiRip rip saws can produce face frames, doors and drawer front parts for as many as 1,000 boxes in a shift. From there, ripped pieces go to one of the crosscut saws, including two TigerStop saws and three Dimter saws from Weinig. There are nine moulders, including Weinig, Wadkin and SK machines. Cabinetec makes several types of door panels, including flat recessed, raised panel and slab doors, and six different door frames. A miter door section has a TigerStop saw and Accu Systems MMTX for mortise and tenon on a miter door. At this point, cut parts are separated by job, and then moved to sanding. Also in the door area, a manufacturing line includes a clamp for door assembly, Omal hinge machine and Butfering sander for the back of door. For the front side of the door, a Heesemann four-head sander, Heesemann orbital sander and Elmag denibber from Superfici are used. From here, doors go to a check station for inspection, and a long conveyor takes components up and into a different building for finishing. In addition to the UV finishing system, there are also two hang lines, one for standard stains, the other for smaller pieces and custom finishes. Panel processing is done in a separate building with two Giben panel saws. Cut particleboard stock is fed into a box assembly area near the finishing operation, where assembled cabinets are immediately loaded onto company-owned trucks. The new Superfici UV line went into operation about a year ago, and has taken 60 to 70 percent of work from existing lines, and achieved a number of goals. "The new UV line takes the human factor out," says John Jump, director of facilities. "The finish is more consistent, with better quality and a longer lifespan. You can take it right off the line. When pieces come out, they are completely dry." "Emissions were the number-one concern," Musser says. "Since business was growing, we knew we would need a new line at some point. There's a huge green movement, and the sooner we get onboard, the better off we'll be." "It's also has a sales value," says Nick Cox. "A lot of builders are starting to ask for a green product. We're closer to being green than we think, because our suppliers are doing most of the work for us." Cabinetec controls the finishing by batches, called charges, with six going though the oven at five meters per minute. With the Valspar finishes, VOCs are much lower than required. Musser says that Cabinetec is looking at a 32mm frameless line that would be a separate operation in 35,000 square feet of new space. The company has big plans, but hasn't forgotten the small things. For example, Musser says that Cabinetec still putties the staple holes on the back of a cabinet door, sands them, and glazes the back of the doors. "Don Cox's emphasis is on technology and quality, and getting it done the most efficient way," Musser says.